A few years ago, I decided to go out on a limb and purchase a Mac Powerbook G4. I had not used Macs regularly since I was a kid in the 1980’s. I liked the security, style, unique intergration of software programs, the ability of Mac to open files created on Windows, and the overall innovation of of the operating system. I still have a desktop Windows PC which I want to upgrade next year. But am wondering whether or not to buy a windows based laptop running the much-delayed Vista platform or to buy an iMac. The iMac is awesome because it integrates the entire computer into the monitor casing or the Mac Mini which downsizes the tower to about the size of a book. Each time I go to Ottawa (the capital of Canada and the second coldest capital city in the world just behind Ulan Baator, Mongolia) I am always pleasantly surprised by the number of cheap halal fast food shawarma shacks, restaurants, and eateries. Despite a growing number of halal restaurants here in the Washington DC area, these pale in comparison to the sheer number and refreshing menu predictability of the of shawarma places in Ottawa. Although, there are sweet surprises such as the shawarma place that offers delicious fresh-fruit smoothies. I think it would be difficult to drive around Ottawa and not see a shawarma and Tim Hortons on just about each block and oftentimes there are more than one one the same street. 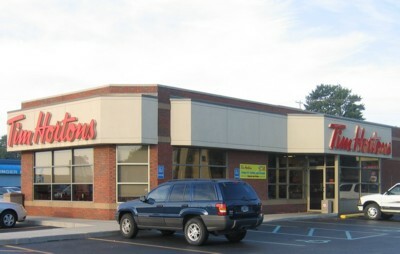 Tim Hortons is an institution in Canada much like McDonald’s and WalMart are in the States. It is a cross between Dunkin Donuts and Starbucks. It’s the everyman’s coffee shop nothing elitist or preppy about it. They serve hot coffee and tea and excellent snacks and desserts. The post “I’m Buying a Radar” by Shabina on Moz Boondoggle re-awakened some thoughts that have been lingering around in my mind and usually bubble up to the surface while I am driving in my car. MuslimApple is driving in the city and wants to make a right turn but the light is red and there is a No Turn on Red sign posted. OK, no problem, I can wait for the green light. Light changes to green, alhamdulillah, I think I can proceed to make my turn. Right? Wrong. The pedestrian walk signal is indicating that this is the most opportune time for people on foot or in wheelchairs to use the crosswalk. OK, no problem, I can wait. Unfortunately, this is not a signal with a countdown of time remaining until the red light returns so as the pedestrian signal begins flashing the “Don’t Walk” symbol I feel nervous. Am I going to make the light or not? Should I inch ever so slightly forward into the crosswalk and hope that the pedestrians pick up their pace so I can turn? The light is now yellow, so I move determinedly forward and just as the light turns red I complete my turn. Alhamdulillah. Alas, we have a North American body dissenting from the Fiqh Council’s decision to use calculations. The Hilal Sighting Committee of North America has announced that they will use “naked eye” observations to determine the start of Ramadan. A Refutation to ISNA/Fiqh Council’s Decision to Disregard the Qur’an and the Sunnah and to follow Astronomical Calculations for Beginning an Islamic Month. The Fiqh Council of North America and the Islamic Society of North America (ISNA) have decided to use astronomical calculations to determine the beginning and ending of the Islamic lunar calendar. Ok, mark your calendars. Using these calculations, ISNA has announced the start of Ramadan as September 23, 2006 and Eid as the First of Shawwal October 23, 2006. In addition to these decisions, ISNA has also published an Islamic calendar through 2011. Ma sha Allah. Now, let the mercy for differences of opinion deriving from valid ijtihad begin with our tongues and in our hearts. When we studied this issue in an AlMaghrib seminar the topic was called “Moonsighting or Moonfighting”. We learned the three major opinions namely sighting in each locality, following Saudi, and using calculations and then some of the subsections under these opinions. All three opinions derive some of their proof from a single hadeeth. At the time of the sahaba (may Allah be pleased with them) different parts of the Muslim world began fasting at different times including Madinah and Ash Sham so it shouldn’t matter if the start of the fast in North America differs from the start in Saudi. I intend to follow ISNA but if my local masjid differs from ISNA as they have in the past then I will go with my masjid because I trust their leadership and it would not make sense to differ from them. The Islamic Society of North America announced this month that Dr. Ingrid Mattson the long-serving vice president has been elected as the first female President of ISNA. Ma sha Allah, good for her. I have listened to some of her lectures and they have been very beneficial. I think Dr. Mattson has the potential to raise the standing of the organization and in general of Muslims in America. One of our local imams Imam Magid from the ADAMS Center in Virginia was named Vice-President. He was recently featured in Time magazine and on the Fox News Channel. In sha Allah, this blog will serve as a means of coming closer to Allah subhanahu wa ta ala and distancing myself from the path of shaytaan. O Allah, I ask You for good akhlaaq and I seek refuge in You from evil akhlaaq. O, Allah I ask You to make me a companion of the Quran and to be in constant remembrance of You and thankfulness for the blessings and mercy You have continually bestowed upon me. O Allah, I am weak so make me strong. O Allah, increase me in knowledge. O Allah You are the Oft-Pardoning, and You love to pardon, so pardon me. O Allah, help me to guide my family to Islam. Ameen.